GIA’s second annual GIA (Gemological Institute of America) London Jewellery Career Fair will be held on April 5, 11:30 am to 4:15 pm, at the Goldsmiths' Hall, Foster Lane, London EC2V 6BN, for an opportunity to meet gem and jewelry industry recruiters from all over Europe. The event is free and open to the public. 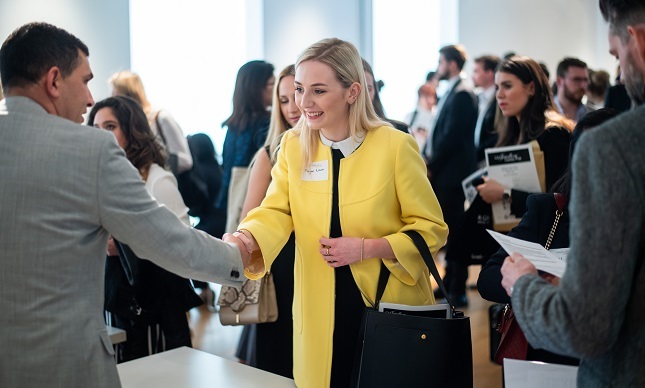 Attendees will have the opportunity to create lasting impressions with recruiters from brands such as BVLGARI (UK) Limited, Hubert Gems, Harding Retail, Hatton Jewels and more. Positions are available in all aspects of the industry, including jewellery design, retail sales, watchmaking, buying and teaching, as well as management-level positions. In addition, job seekers can meet with experienced professionals acting as career coaches who most closely match their area of expertise. Employers interested in recruiting at this year’s London Career Fair can register online at GIA.edu/career-fair-recruiter-sign-up or by contacting GIA’s Career Services office at +1 760-603-4542.